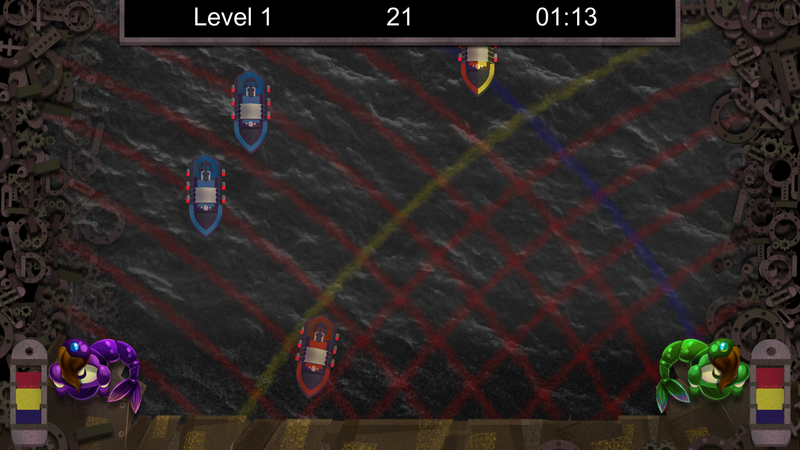 Cyborg Siren Sisters is a co-op local multiplayer game about drowning ships with coordinated waves. 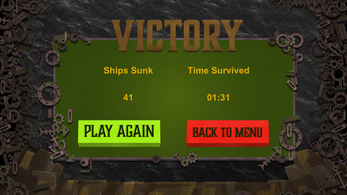 Each player generates waves of different colors from their side of the screen, by pressing [Enter] (right-side player) or [Tab] (left-side player) at a certain pace. A slow pace generates blue waves, medium pace generates yellow waves, and fast pace generates red waves. 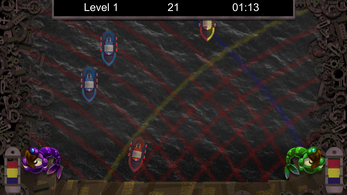 Players must cooperate to drown ships before they reach the shore, by hitting them with two waves of the appropriate colors. If a ship reaches the shore you lose. 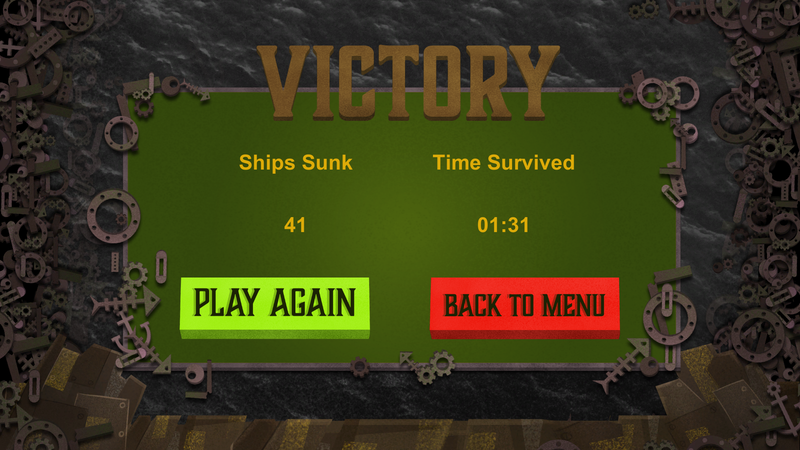 Survive for a minute and a half to finish the game.